It’s been a strange week. 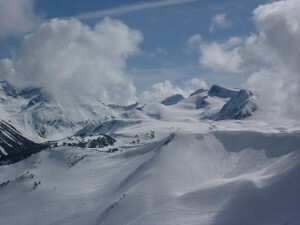 On Thursday I went up to Whistler and had a day that was a mix of fun and mediocre. After last time I was stoked to get back into the bowls, but although I arrived to bluebird sunshine the temperature was low and much of the alpine off piste was crusty and icy. I got some good runs in Sun Bowl early on and Rhapsody Bowl right before lunch, but In the afternoon the light went super flat and I eventually gave up and spent the last hour in the terrain park. In spite of our inauspicious parting of ways two years ago, it was a happy reunion. I’m still cautious, checking my speed carefully on the in-run to the jumps, but even after everything that happened I can’t get around how much I missed being in the air. Yesterday I’d planned to go back to Whistler, but a niggling cold and the thought of it being even busier than Thursday were enough to change my mind. Instead I slept in for an extra couple of hours, then headed to Grouse under an unbroken blue sky. The sun was warm and the icy runs quickly softened and turned to perfect spring snow. After a couple of warm up laps I cruised the blacks and double blacks for a while, then gave in to temptation and went back to lapping the Peak and Expo as fast as I possibly could. Given the beautiful day the Olympic Chair was surprisingly quiet, and I had a blast jumping from a little lip down into Deliverance and then rocketing across the bumpy snow down Expo. I’d originally planned to head home for lunch, but I was having so much fun that I stuck around until mid-afternoon. Once again, it was a great reminder of how lucky we are to have the North Shore mountains so close and accessible. I know there are days ( to be honest, more often than not) when I’d be cursing the limited vertical and jonesing for a peak to creek run, but when you just want to get out on snow you can’t beat having three ski hills right in your back yard. 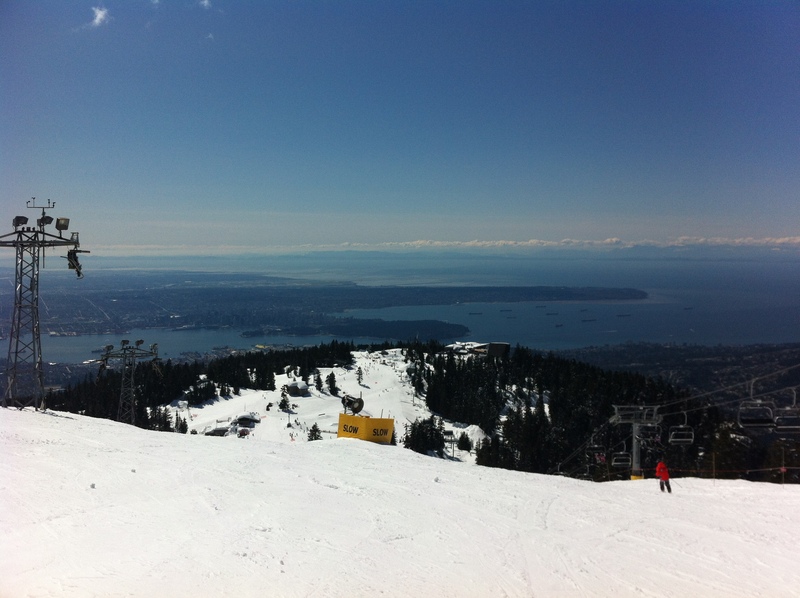 This entry was posted in Grouse Mountain, Skiing, Whistler Blackcomb on April 8, 2012 by Kay.